Moses Nesh is Atlanta's Bluesman Extraordinaire. 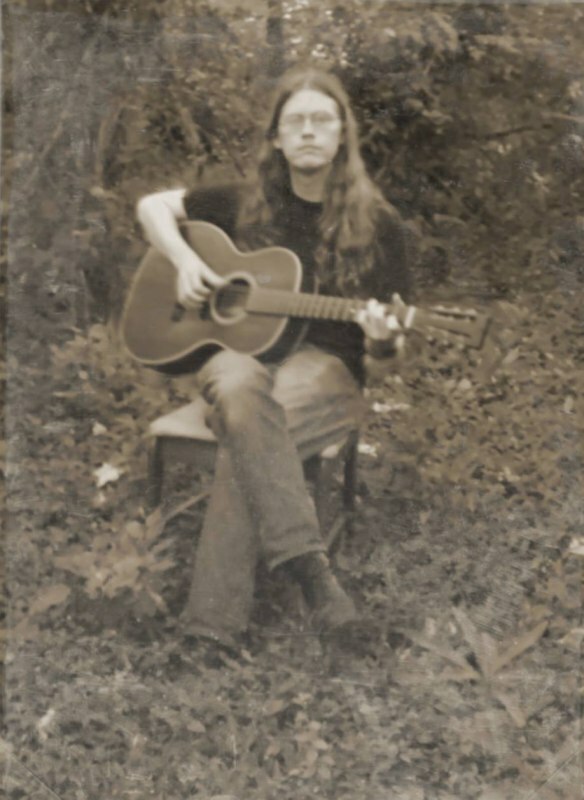 He's only in his early 20’s, but his passion for, and knowledge of, old blues pressed on 78’s, plus his outstanding guitar skills combine for something far beyond expectations. Rumor has it that friends sometimes get annoyed by that old man stuff. But a man’s gotta do what a man’s gotta do, and Moses has to pick and pull steel strings on his guitar and sing hardly intelligible lyrics in his slurred, reedy and captivating voice. And whenever a solo guitarist the likes of Daniel Bachman, Chuck Johnson, or Sarah Louise does a show in Atlanta, Moses Nesh is there opening the show like the Biblical Moses opened the Red Sea. 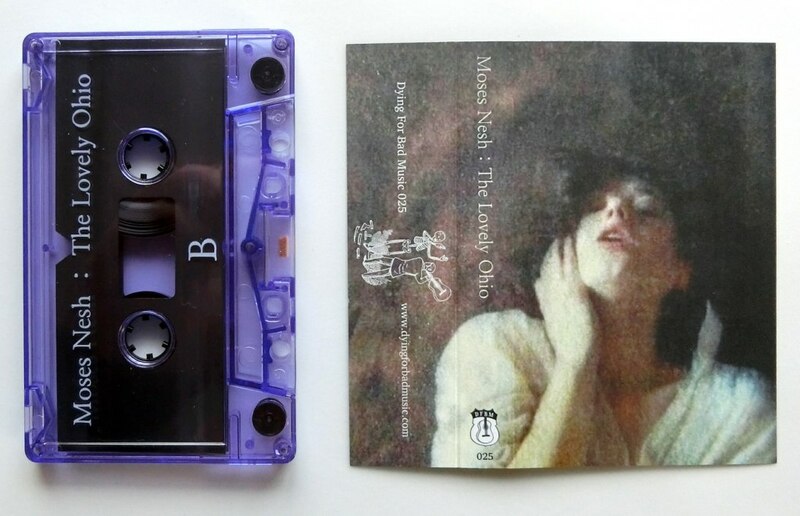 All songs by Isaac Moses Stroupe except "The Lovely Ohio" and "Down on Me" - traditional, arranged by I.M.S. Recorded New Year's Day 2014. There was a time in life when I thought I was maybe the only one who delved into the oddities, idiocracies, and idioms of old time in this area. The crooked stuff. The bassakward tags that throw a group of rhythm bashing dreadnoughts into dismay. Until I met Moses Nesh a slick dressed lad with jowls of 50 year old man and that growl of times long ago. A quaint feller more likely to cough than startle a soul. Until his fingers strike strings with pure aggression followed by a illegible wail reminiscent of Charlie Patton. A tormented presence takes stance speaking in tongues for those who dare to decipher. A song writer, a luthier, an old time aficionado, genuine individual, and good friend. 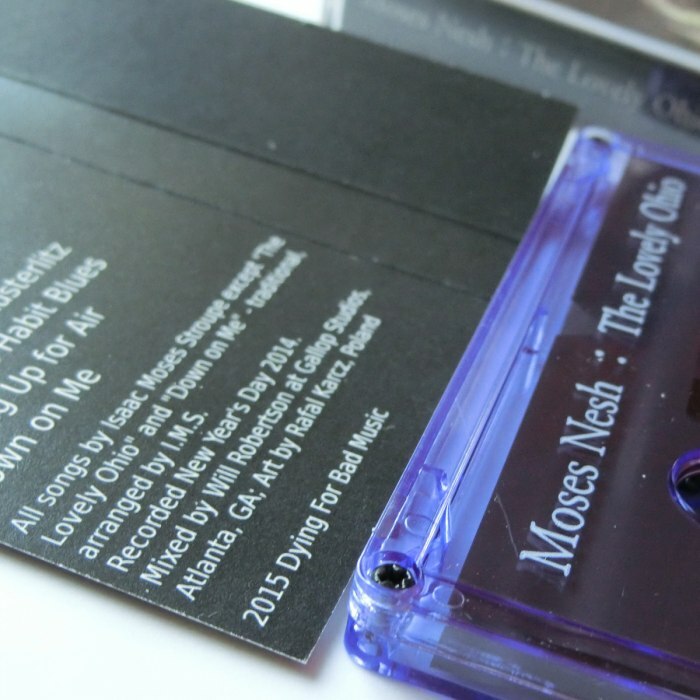 Moses Nesh is not to be missed. 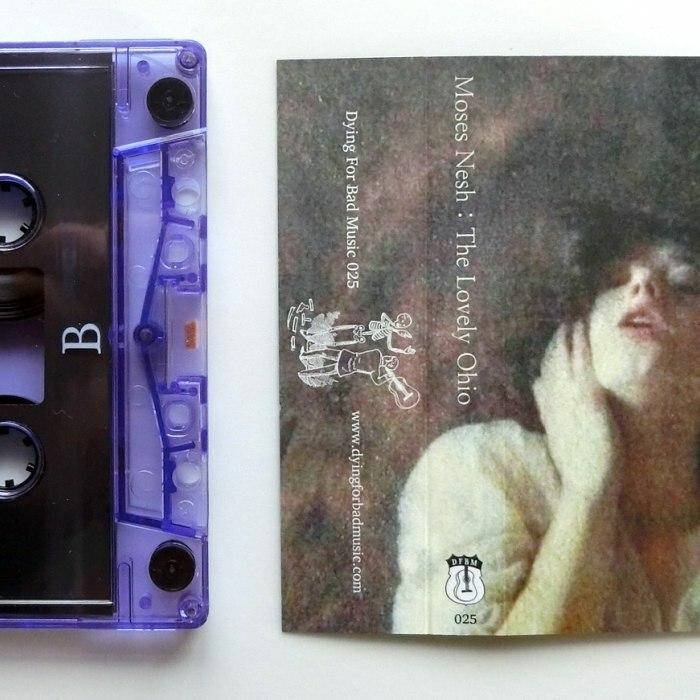 Also on cassette is “The Lovely Ohio” a blues/country collection of solo guitar/vocal pieces from Moses Nesh, a man who sound like he could be 20 years old so weary is his voice. Throughout the collection the music is timeless and the guitar playing never less than outstanding with “The Duel” being an early highlight with some amazing picking throughout. Quite possibly summing up the whole collection “”Strychnine Habit Blues” is a sad lament that aches with longing for better times, the jewel in the crown of a magnificent album. Moses certainly brings the sound right back to early blues roots on this album with his sweet finger picking and real hillbilly styled vocals.